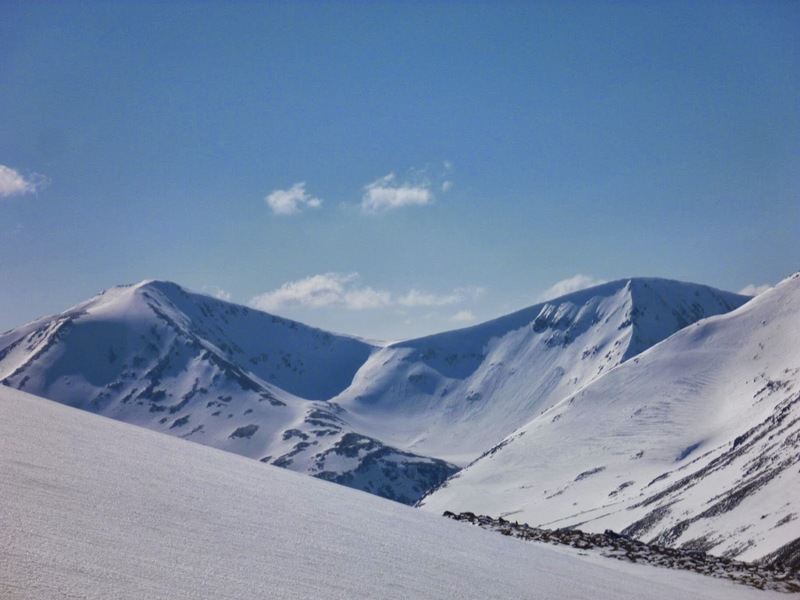 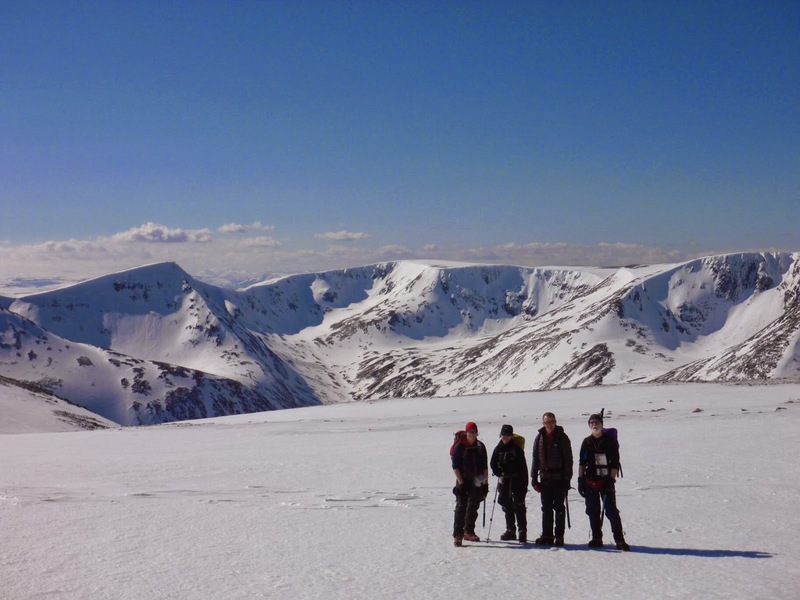 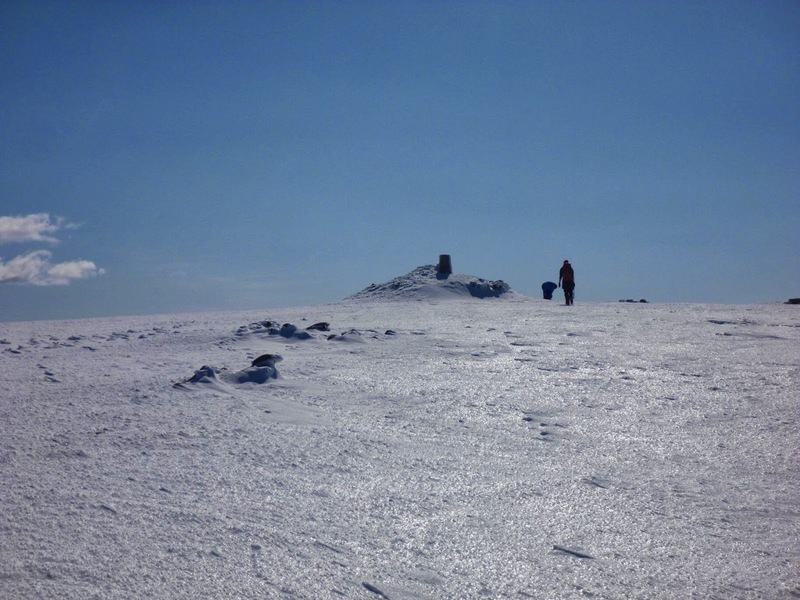 Wednesday on Ben MacDui with the Glenmore Lodge winter skills group, Lizzie, Liz, Alan and Billy - sunshine, blue sky and views everywhere! 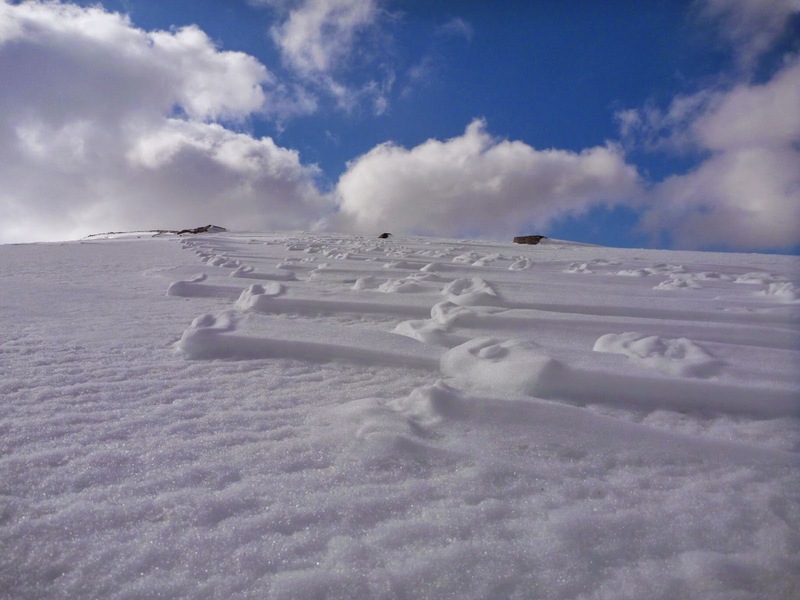 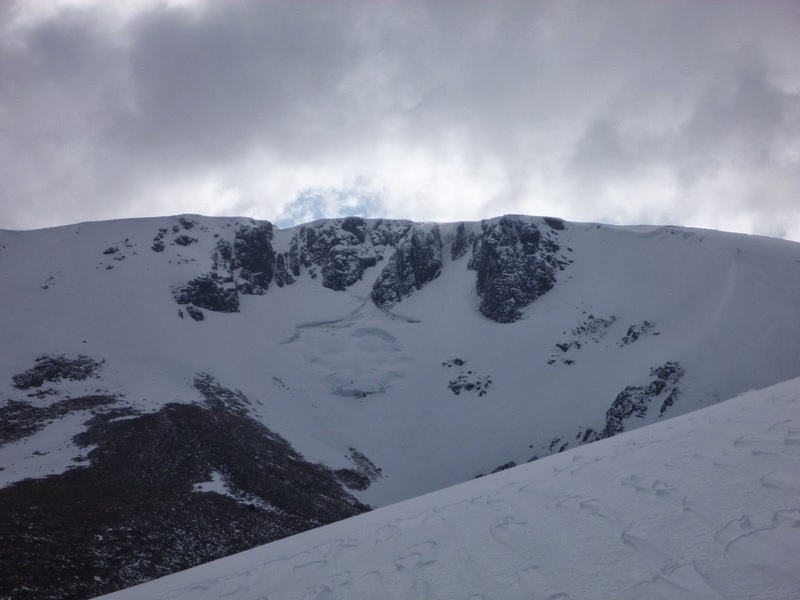 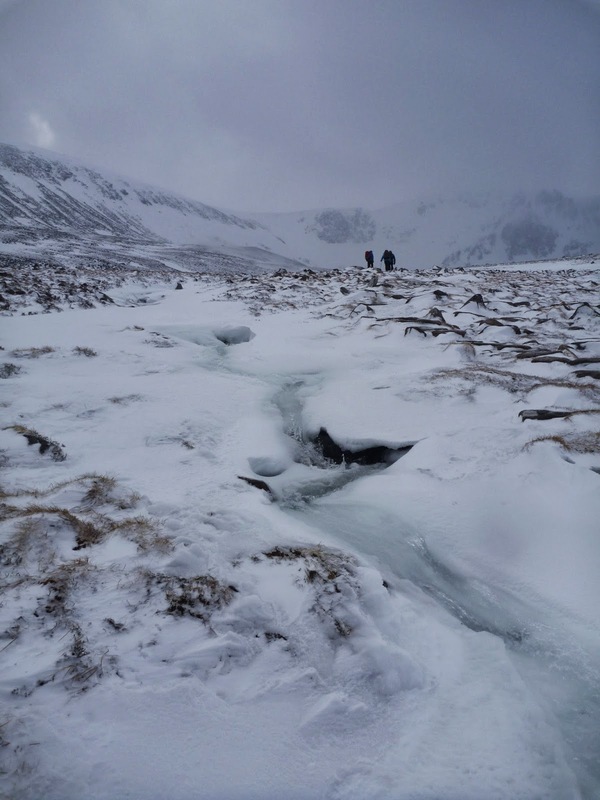 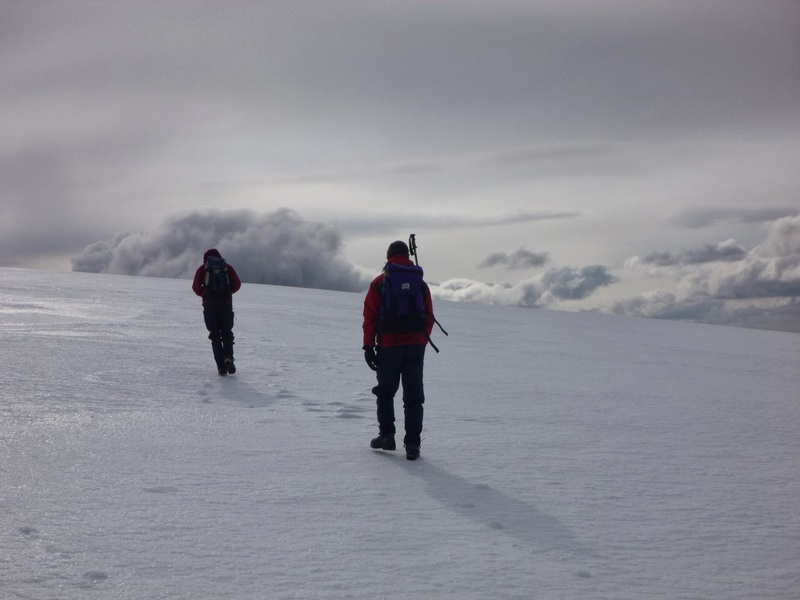 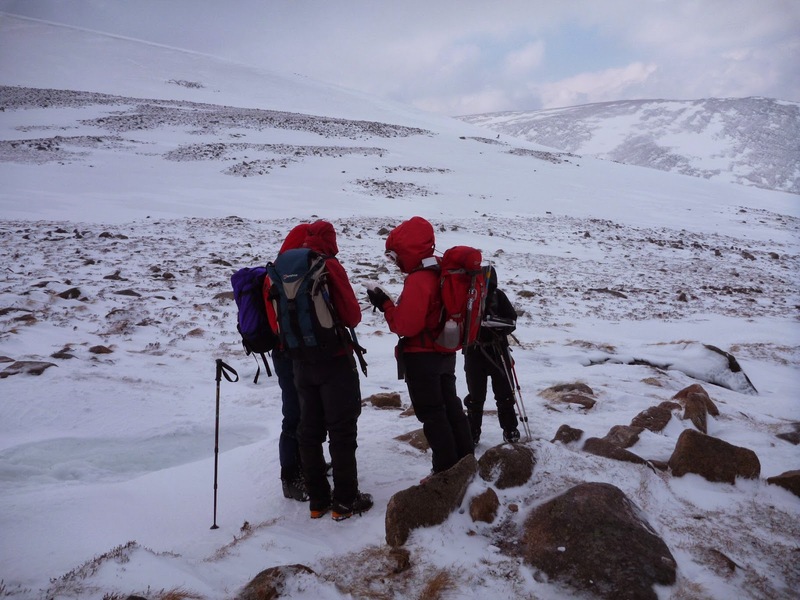 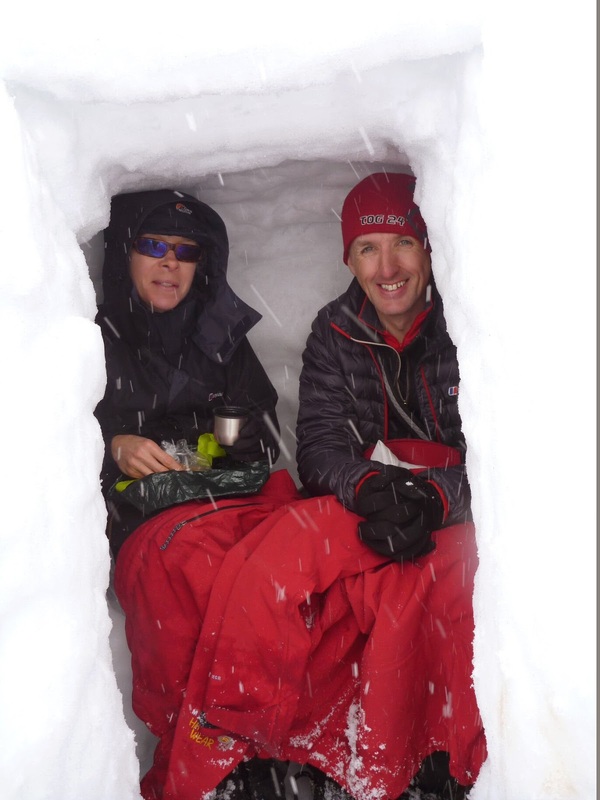 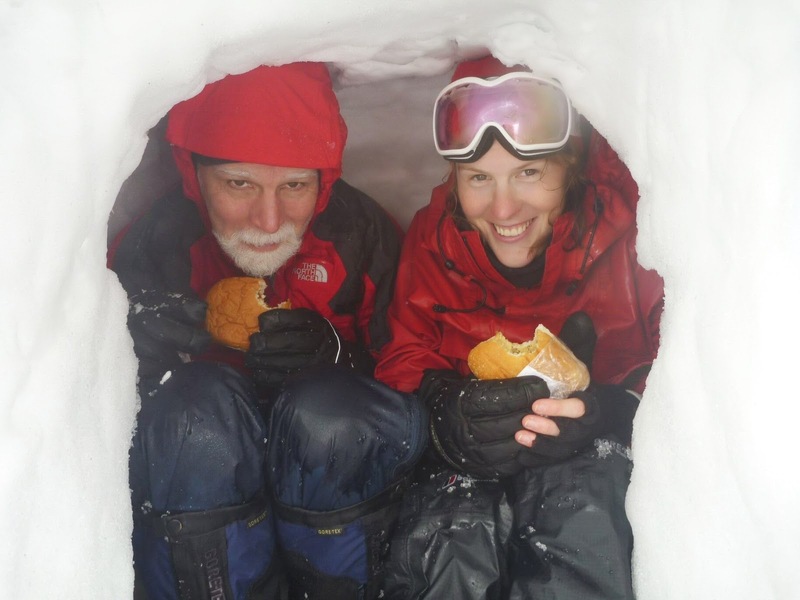 A bit of a different day on Thursday with wind, spindrift and snow showers for our trip into Coire an t-Sneachda for some navigation practice and to dig emergency shelters which turned into cosy places for lunch. 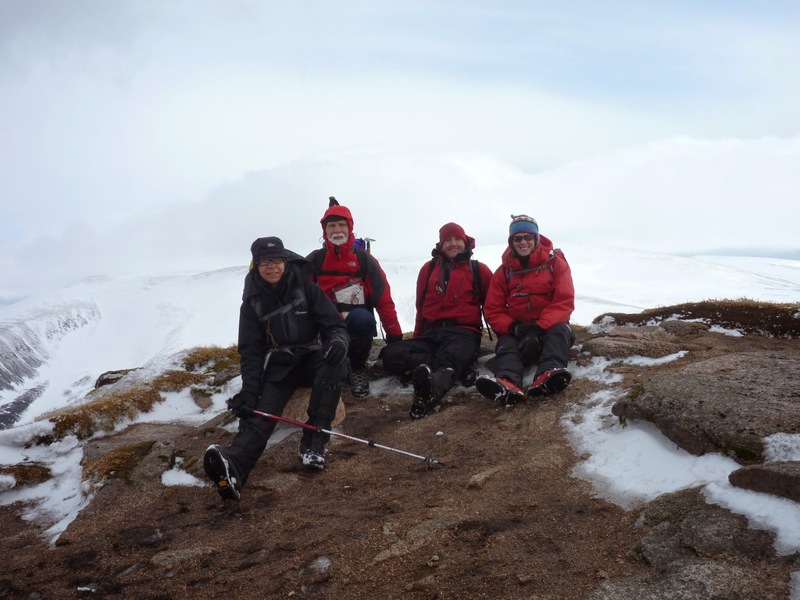 And finally Friday on Carn Ban Mor and Sgor Gaoith with weather that turned out better than we expected - very little wind and more views.